Named as one of the top 100 sales associates by The Wall Street Journal, for the past 10 years Ron Wynn has consistently been among the top 25 agents for Coldwell Banker® in California, and for several years in the top 10, currently holding the number 5 position for the state of California. Wynn has pledged his loyalty to Coldwell Banker for many years, recognizing that the company has upheld an impeccable reputation for over 100 years and is a household name that clients trust. Over 70% of Wynn’s business is based on referrals from past clients, attorneys, CPAs, and business managers. He has sold over 2,000 homes from Beverly Hills to Pacific Palisades and south to Mar Vista, Culver City, and Venice, providing the same personalized service whether representing an $800,000 condo or $10 million estate. He believes that every client’s questions and concerns are a top priority, always placing his client’s needs first. Wynn is the ultimate go-to guy and is always available and “hands on” when his clients need him. In the spring of 2016 my brothers and I were faced with the task of selling our mother’s home when she was no longer able to manage living alone. Ron was one of many Realtor’s we considered to help us and we ultimately chose him to list the house for a number of reasons. Ron made himself available to answer our questions and gave us referrals for necessary repairs and cleanup without a commitment to work with him. He took time to answer our questions and his answers were clear and concise. Once we committed to work with him, Ron laid out his time line and plan to get the house sold and gave us what turned out to be great advice on how to market it. The house sold in the first week, and Ron was true to his word in every aspect of the transaction. He included our mother where possible and kept in good communication with the three of us. We would highly recommended Ron Wynn with no reservations. “Hands on”, that is what you are! As you remember, we had lived in our Santa Monica home for over 30 years and had never sold a home before! Thankfully, you were spot on with everything and always available for us. Although you probably often sell more expensive homes than ours, you were always responsive to our many, many questions and concerns. In fact, I rarely headed to pick up the phone because you were always in communication and keeping us informed. People often talk about “the results” and “the experience”. In our case, both were outstanding! Be assured we will be working with you again when we are ready to sell our rental property and when our children decide to buy. You are all amazing! I cannot tell you how much I appreciate how you handled absolutely everything for me when I was in the middle of my long-distance move. Selling my house was not an event I was looking forward to. I have accumulated so much over the years and was dreading the move. You made it so easy. Not only that, there were other issues that were very difficult to deal with, including some personal issues. Not only were you a great realtor, but you handled things far beyond what I would expect. You really were hands on and full service. You talked about providing a seamless transaction and I wasn’t sure what that meant. I do now. I was caught up with my mother’s medical needs and her surgery while making a long distance move. My mind was on all of those things and I could not spread myself any thinner. You took everything in your hands regarding selling my house and did it magnificently. You sold my home in multiple offers for far more than I would have expected. You handled all the paperwork and got everything necessary to me, always giving me your time when I needed it. Thank you again. I would recommend you with anyone who has similar circumstances. Thank you for the great experience we had selling our home in Mar Vista. We always knew you would be the one we would call from the many times we have talked in the past and from our many friends and neighbors you represented. Now, we see firsthand that you really are what you say. When you say you provide attention to detail and “hands on” representation, you couldn’t be more spot on. We felt very well taken care of. In our particular case, my mom is getting on in years and she needed someone who would be patient and hold her hand the whole way. We are not computer savvy, and you reached out and helped us by hand delivering documents and being there when we needed you. You say you go the extra mile, and in fact you do. We would certainly recommend you to someone in the future, especially someone with elderly parents or someone who is just not moving at the top speed as they used to. You are welcome to share this letter as a testimonial to anyone with similar circumstances as ours. Additionally, since we had to move early, you were able to take care of us from a long distance and we were not able to come back in town. You made sure everything was taken care of. Ron Wynn did an excellent job for us when we placed the family home in Beverlywood on the market. He advised us to stage the house, have open houses, and his strategy for getting the highest price in a very short time. He certainly knows the business, and he fulfilled his promise to have offers and a buyer within a very short amount of time. Ron knows how to market. His strategy and technique captures serious, qualified buyers by creating urgency with a track record that proves his properties sell quickly, often in multiple offers and above the asking price. We certainly appreciated Ron Wynn's expertise, and are willing to recommend him to anyone. We have friends and family in the real estate business, as most people do these days. We know we could’ve gotten a big reduction on commission; however, we followed our instinct to not list our home with friends and family. You were able to sell our home for far more than we could have imagined. We have read many articles about not working with friends or family, but have always thought in the end, we would. You and several others persuaded us to work with a professional, stating that friends and family should remain friends and family and that business should be handled by professionals. We followed your advice, and we are glad we did. For anyone who is thinking of working with friends or family, have them call us. Thank you for asking us about our new home. We have finished the remodel, made the move, and are happy here in Palm Desert. Now that we have closed escrow, I want to let you know how much I appreciate all your hard work and the work of your team. You are a totally cohesive team that offers so much more than just an individual agent. Although you explained that to us in the beginning, it was not evident until now. You all have your own job descriptions and you do an amazing job carrying them out. For example, you promised us you would be there for the critical moments and you were there whenever we needed you. A week after we signed our contract with you, another agent that we interviewed called us to ask why we had chosen you. Although we hesitated to answer, we told the agent he did a great presentation but we just felt the chemistry when we met you. We really trusted you and knew you would come through for us. We turned everything over to you with full confidence that you could do the job, and you did. I think that it came down to choosing someone we could trust. Not only did we know you from neighborhood sales, but you were referred to us by our attorney as well. I can understand why you are on many attorney’s referral lists. You are on our list for our friends and family as well. We had been working with an agent for nearly six months without success. We decided it was time to engage a new agent - one who was a very strong negotiator, was extremely well known in the area, and also whose name was familiar to us from his “For Sale” signs all over the neighborhood. That is why we called Ron to represent us as buyers, knowing he is well connected in the Westside areas we were interested in. Knowing this, we felt we would have a good chance to hear about listings, perhaps even before they came on the market. We also knew of Ron’s strong negotiating skills and were hopeful that the combination would lead to success. Our hunch paid off immediately. 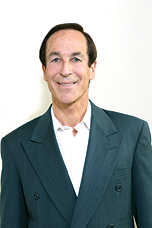 We highly recommend Ron to anyone serious about buying a home in Cheviot Hills or Westwood. Not only does he have the inventory, he is solution oriented and a master at communicating and keeping all parties informed. Good luck on your new location on Montana. Feel free to use me as a referral. You did a great job for me on the purchase of our current home and the sale of my north of Montana condo. In addition, you exceeded my high expectations with the recent transaction on the home at 454 9th Street in Santa Monica. Over the 16 years we have worked together, you have always taken care of me and anyone I referred to you. Your knowledge, experience and responsiveness make doing a real estate transaction both profitable and a pleasure. You came through beautifully on the sale of my property and I want to thank you for selling it quickly and for more than I expected. I chose you as my agent because your name was well known in the community and you were referred to me by several people. Additionally, I was very impressed with your personalized website – especially the marketing section, with the beautiful flyers and professional photography that you offer to your clients. I believe it was the extra effort and personalized attention you gave toward special marketing that ultimately brought us success. Again, thank you for doing a magnificent job. For many years you spoke with my Mom and made her feel comfortable, never pressuring her, and always providing her with excellent service when she had questions about the market and the neighborhood. She asked that you be the one to sell her home one day in the future, when the time came. We called upon you as she requested, and you were everything she told us we could expect. You handled everything a homeowner would handle personally, had they been there. You never lost touch with us during the time the house was on the market and while it was in escrow. I cannot tell you how important that was to me. For anyone who is looking for an agent who is “hands-on,” I could not recommend anyone more. Thank you again for your hard work and professional approach. There are several blueprints and overlays for the geographic location, which started out in the heart of Venice near the water. I received a phone call from a very unhappy resident suggesting that realtors are only concerned with driving prices up and don’t care about the neighborhood. Everybody has their own opinion of what is causing such tremendous enthusiasm for this location. We definitely have an abundance of buyers as this has become an absolute “destination location”. Active inventory is the lightest it has ever been, mostly because people are asking why they would ever want to leave and sell their home. People ove this area and wouldn’t want to uproot from this area, especially with the low property taxes and low interest rates. While many agents are caught up on providing themselves to be the number one agent in the area, it is often at the loss of customer service. What is Real Estate Advisory? Real estate advisory comes in many fashions, part of real estate advisory is knowing when there is a good time to sell and buy. There are certain conditions that regulate whether or not a good time.